Hi hi hello dear internet friends of mine! Thank you so much for your fab feedback on the Home Renovation post. It was so much fun to write and I loved hearing all your questions and comments. Keep ’em coming! As I’m sure you’ve heard because the entirety of our lives is posted on the internet these days, I threw my back out on Sunday. All I did was bend down! Alas, I’ve spent the last few days in hella pain, half wailing, half trying to find a position that doesn’t make me want to scream, half icing, and mostly laying down with my feet in a chair. It’s been a week. I will say that this low back and sacrum yoga video provided some relief. I went to the chiropractor today and he said the injury is severe to moderate. The adjustments definitely helped but I’m far from back to normal. My spine is wicked crooked so I’ll be spending a good deal of time with the fox. He also said my hips are showing arthritic wear and tear that’s atypical for my age and body size….it just keeps getting better! Onto the eats. I ate so much yummy food over Thanksgiving but I did some much needed unplugging and didn’t photograph any of it. I hope you all had an amazing feast! I’m back on an avocado toast kick. 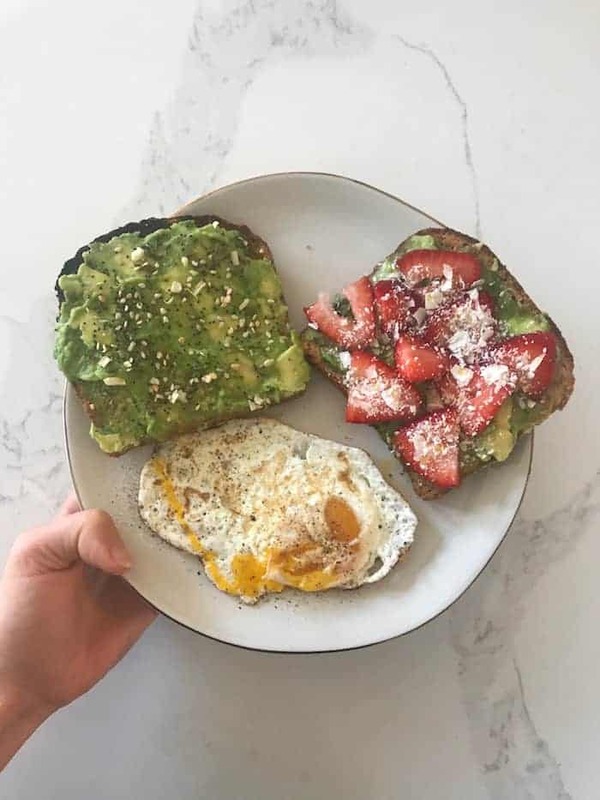 Lately it’s been one piece of strawberry avocado toast plus one piece of avocado toast with salt, red pepper flakes, and micro greens or everything bagel spice. Sometimes with a fried or poached egg or two on the side! My favorite bread these days is the sprouted wheat berry bread from Trader Joe’s. It’s sweetened with dates and it’s just all around awesomesauce. I get a few loaves at a time and freeze them. 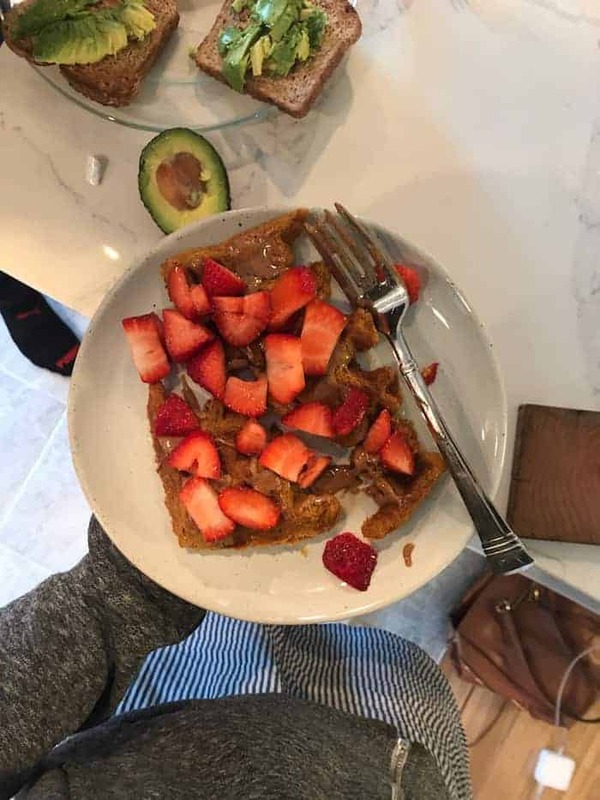 I’m also back on the whole wheat pumpkin waffle train with almond butter, maple syrup, and strawberries. 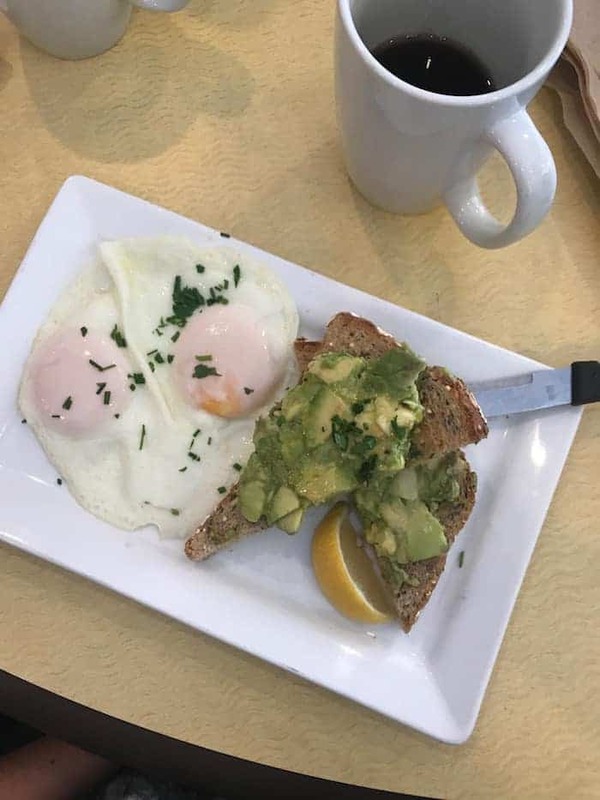 Eggs and avocado toast from First Watch. Not as good as mine! 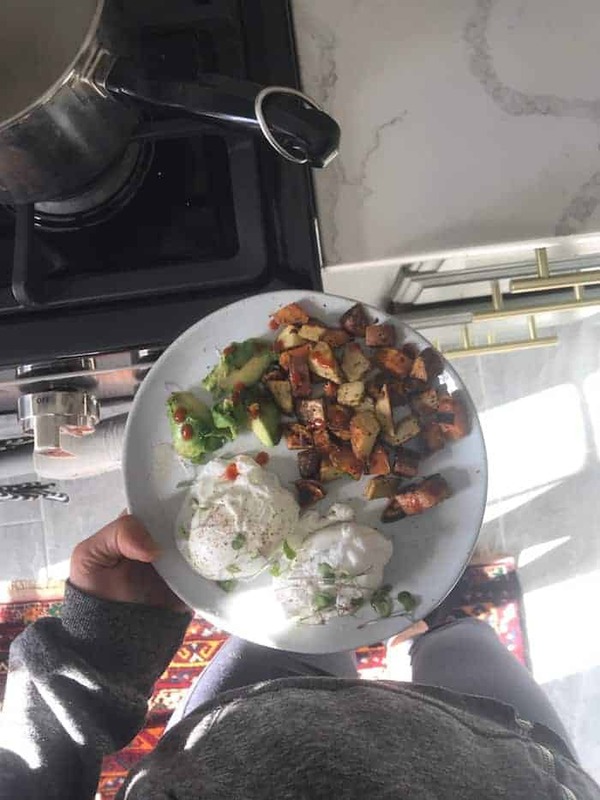 Poached eggs, sautéed potatoes + sweet potatoes, avocado, and sriracha. 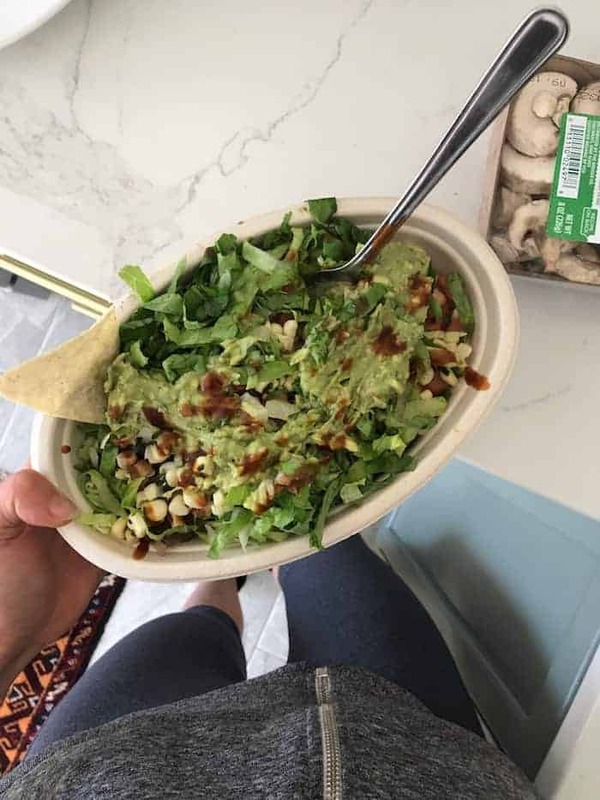 Chipotle bowl with brown rice, black beans, fajita veggies, tomato and corn salsa, guac, lettuce, Chipotle smoked hot sauce, and chips. 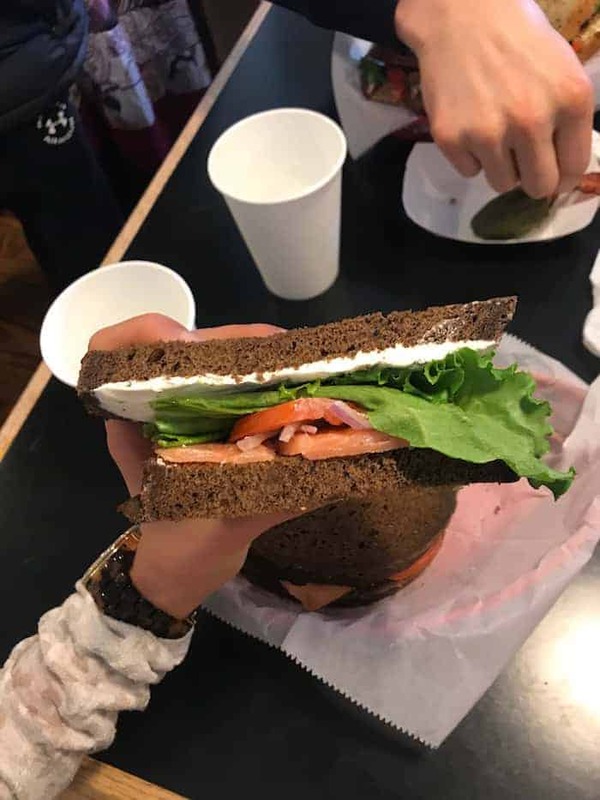 Smoked salmon sammie with scallion cream cheese, tomato, and red onion on local pumpernickel from Katzinger’s with my amazing sis, niece and nephew. 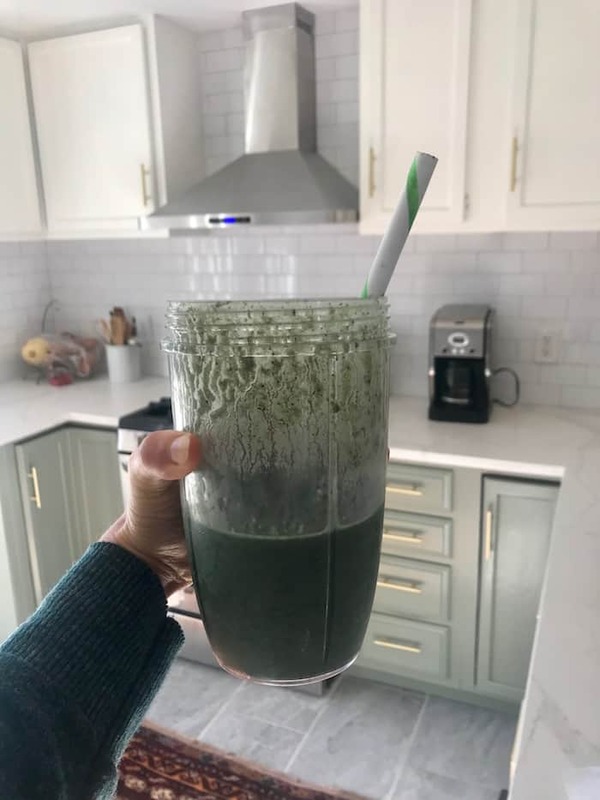 Huuuuuge smoothie with frozen blueberries, zucchini, spinach, and cauliflower, hemp seeds, chia seeds, cacao powder, my fave vanilla spirulina protein, cinnamon, turmeric (trying to be all anti-inflammatory for my back), black pepper, and almond milk. Whew! 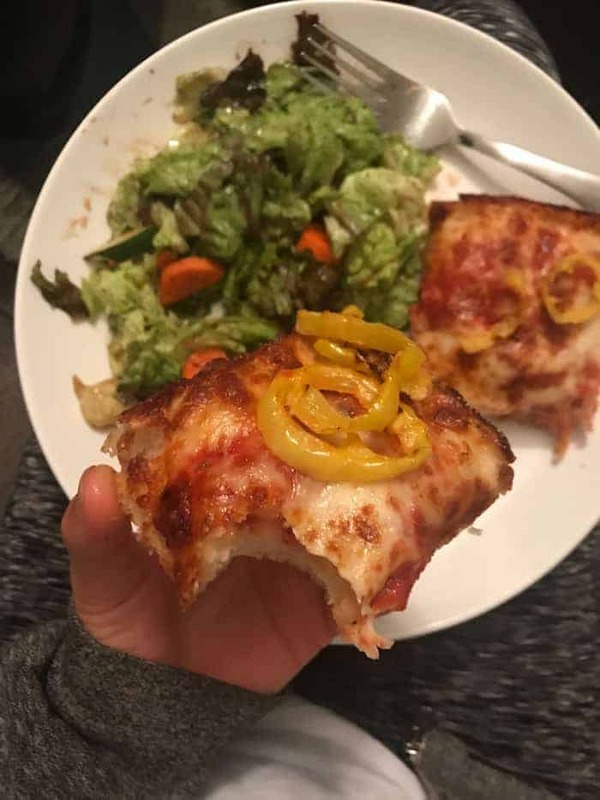 Jet’s pizza with banana peppers and salad. I FREAKING DIE FOR JET’S PIZZA!! 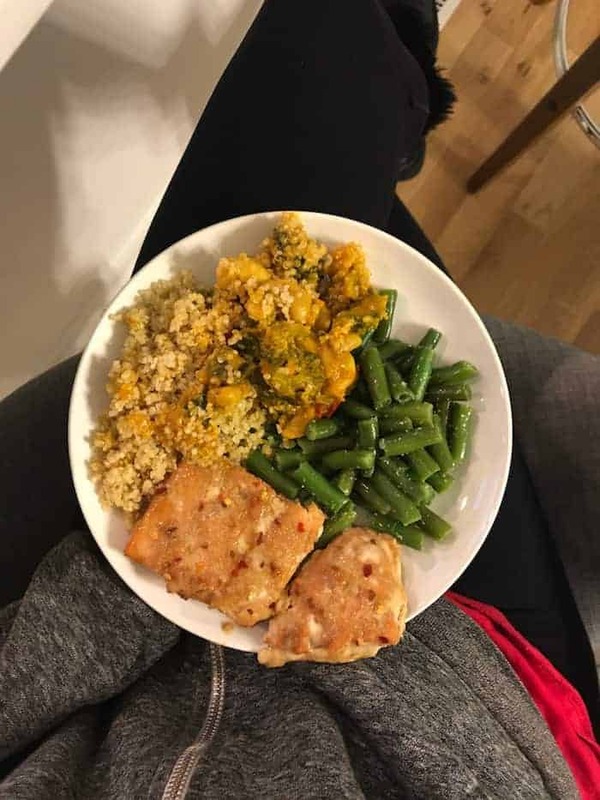 Wild frozen salmon from Trader Joe’s that I marinated in their island soyaki sauce with extra ginger and red pepper flakes with quinoa, green beans, and this yummy pumpkin curry that my amazing friend Simi brought me. This Cheezy Lentil Bolognese Pasta was really yummy but heavy on the prep work/dishes. It makes a lot, though! I recommend extra marinara on top. 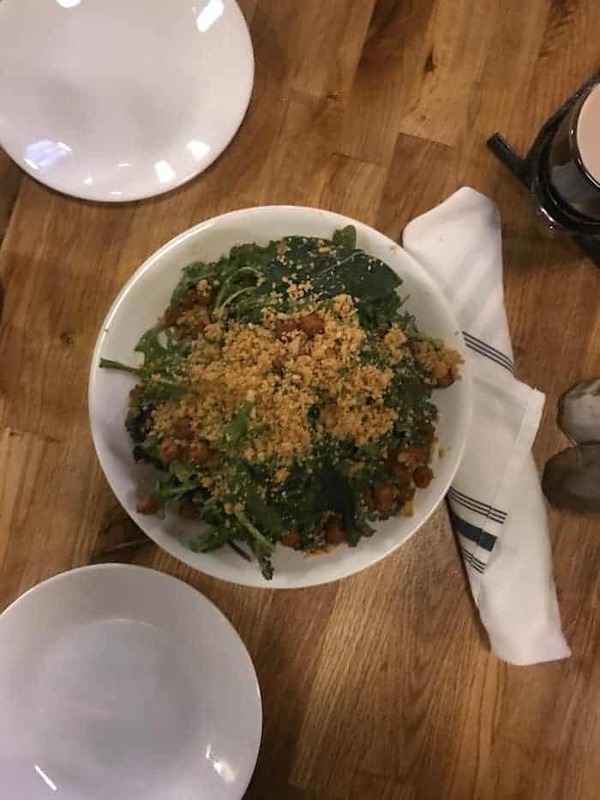 The BEST vegan kale caesar salad with crispy chickpeas I’ve ever had from The Crest Clintonville. If you live in Cbus, this is a must! 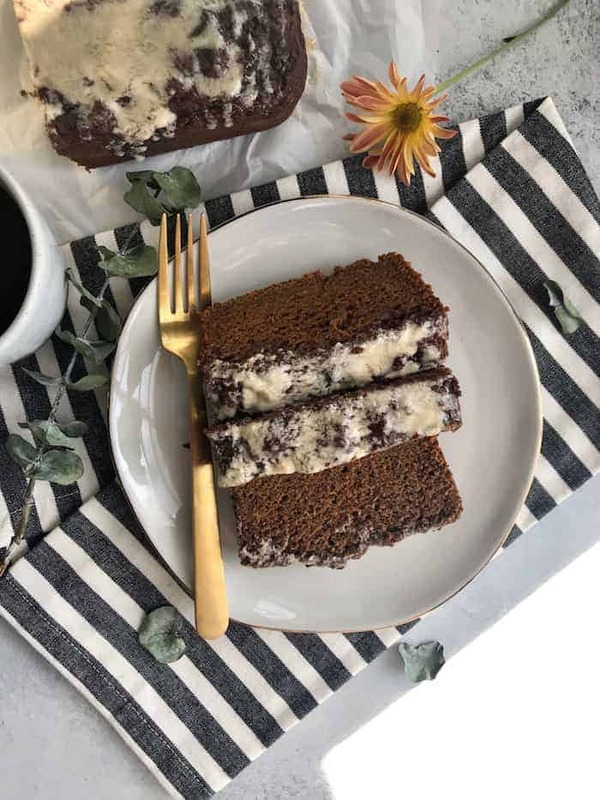 Vegan whole grain gingerbread with maple glaze! OMG you’re gonna die for this recipe. My special recipe tester (hi, Dylan!) tried it too and he approves. I’ll be sharing the recipe next week! 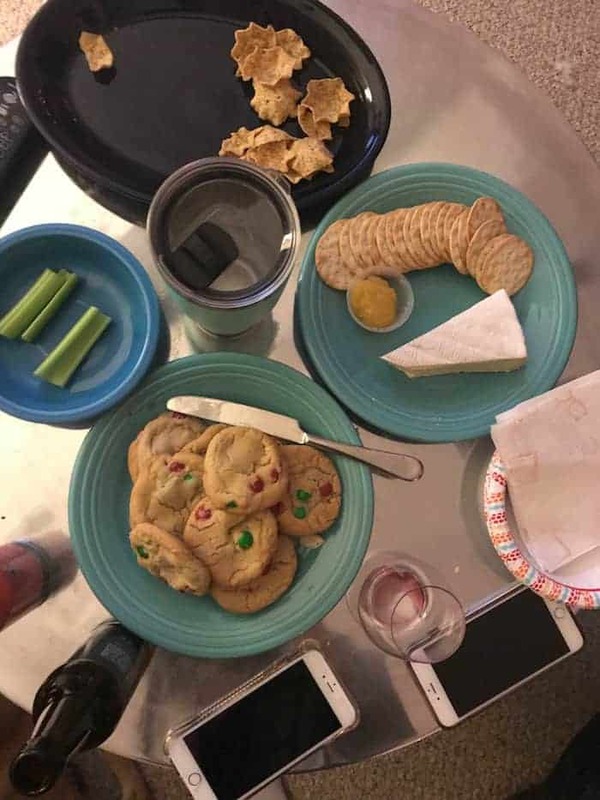 Holiday snackage when I was in Cleve featuring the best cookies, brie and crackers, and random tortilla chips that I went to town on. Super yummy Almond Butter Cookie Bars. Next time I’m gonna use cashew butter for a more “cookieish” taste. We’ve been eating like three a day. 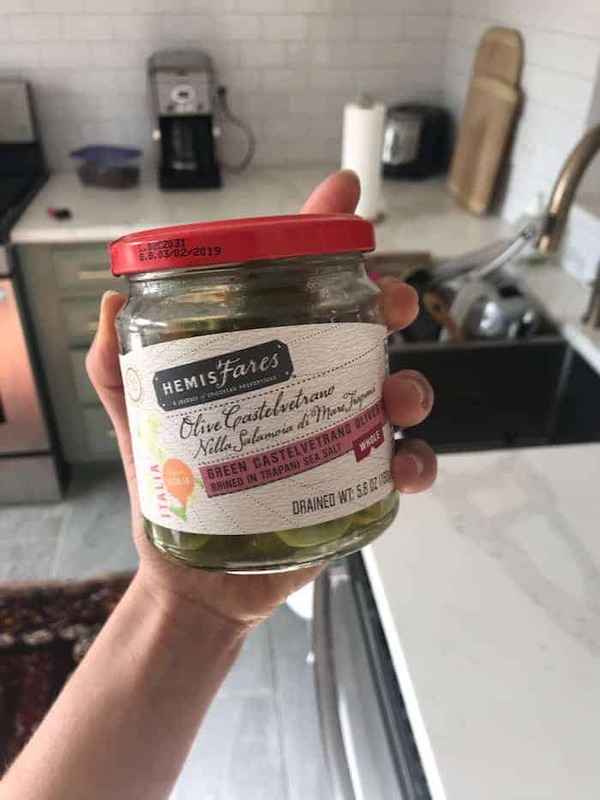 Castelvetrano olives are my favorite. 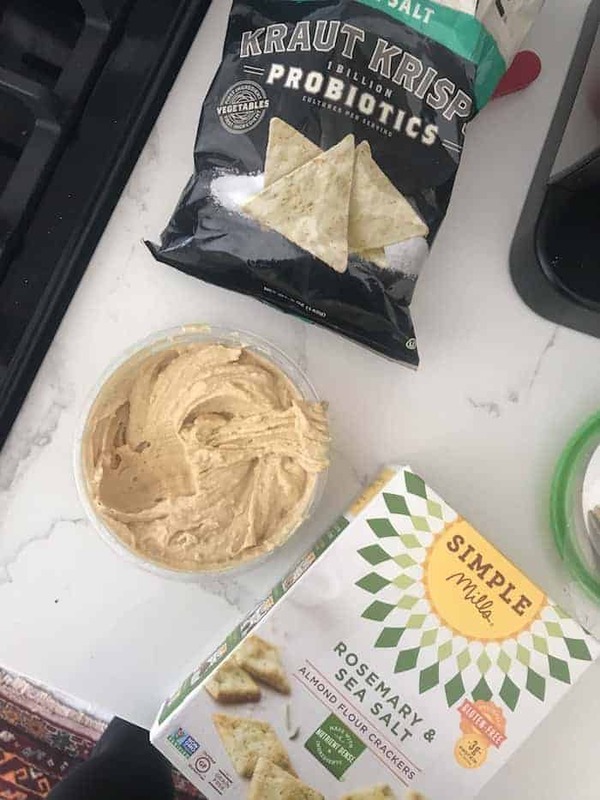 Kraut Chips (sooo good), Oasis roasted garlic hummus, and Simple Mills rosemary crackers. Nom. Make this week a fantastic one! Mmmm, can’t wait for the gingerbread recipe, it looks all kinds of yum. It’s gonna change your breakfast game!! Nothin’ makes me happier than a colorful, delish breaky! Jets rocks!!! Tell me you did turbo crust too?!? ?. Hope you feel better soon! The thick crust is legit to die for! OMG these pictures are making me SO hungry! 1. Jet’s pizza is AMAZING. 3. So sorry about your back :( hope you feel better soon! Totally loving the toasts this week!! I need to get more creative with my toppings like you! You need to try the avocado with strawbs! So yum. It’s always such an inspiration to see behind the eats of a food blogger. Thanks for sharing, Girl! I LOVE to hear that!! Sharing the imperfect behind the scenes stuff is mah fave. I don’t know if it’ll make you feel any better, but at least four years ago, my twin sister Kaci and I were told we had low bone density because of our stature and race. We have greatly increased our physical fitness and weight lifting, but it’s like we are just prone to it. I really really hope your back feels better soon! I adore all of your eats! I love First Watch, but I’m sure your avo toast is superior. ;) I have not made poached eggs in forever – any tips? 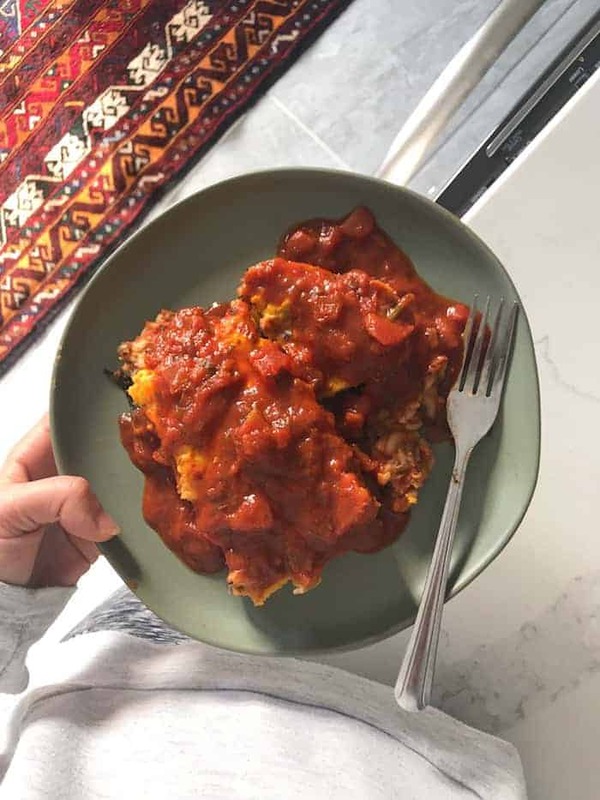 These ‘what I ate’ posts are one of my favs! how have i still not combined strawberries with avocado on my toast?! i feel veryyyyy behind the times. need to get on it. also i just picked up some spirulina and am super excited to start adding it to my smoothies! 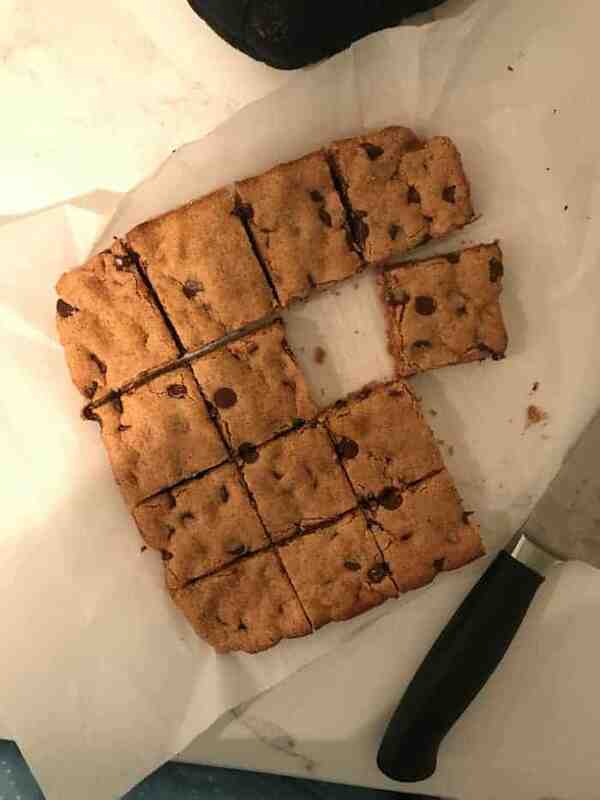 and those cookie bars sound DIVINE. cashew butter is everything. glad you got a chance to unplug a bit over the holidays – SO important!! The sweet and salty is amazing. You’re gonna love it!! Here I thought I thought I was loving your outlook on food and eating and then you go and profess your love for Jets Pizza? I’m not mad, just disappointed. I’ll try to overlook it but only because the corner pieces are crazy good in a crispy burned cheese kind of way. Seriously though, if you can’t fold it, it’s not pizza. Hey Alexis. Nice to hear you took Thanksgiving to unplug and go no-photo style. Always so nice to do. Do you have a favorite pumpkin waffle recipe that you use?? I made your Kale Spaghetti Bake the other night, with your tofu ricotta (which I had made before). It is soooooooo good. Your recipes never fail me :) Thank you!